We wanted to update you on some of the new features we've been working on in recent weeks. Most of the new features and updates we've made lately have been for our Broadcast Marketing Product, JangoMail. If you're interested in a product with all of the features of JangoSMTP as well as additional features tailored specifically for list management and broadcast email marketing, check out our JangoMail blog to learn about some of the latest features we've developed. Consider a Free Trial or a subscription and give it a test run. Inline with our commitment to bringing you the best transactional email experience, we have some cool new features to help you make the most of JangoSMTP. We made some modifications to how bcc and cc's work. Plain and simple, we added the capability to specify multiple cc's and bcc's in your email via the SendTransactionalEmail API Method or by sending them through the relay-- and we made sure that they're displayed exactly how you want them displayed for every end-recipient. Compose your email exactly how you would normally with your email client, via your website, or your application, specifying the cc/bcc addresses as you normally would. Bounce your email off the relay server at relay.jangosmtp.net at the standard SMTP port and use either SMTP Auth with your JangoSMTP username and password, IP authentication by specifying your private, external IP address in your JangoSMTP account settings, or use an authorized "From Address" that you specified in your account settings. And leave the rest up to us. One feature many customers asked us for was "Journaling Addresses". These are email addresses you can add to your account that receive a receipt (copy) of every outgoing email that is sent through the relay or with the API. With journaling addresses, keeping a re-traceable history of all outgoing communications for internal audit purposes couldn't be more simple. And add as many journaling addresses as you'd like. Journaling Addresses receive a copy of every email that is transmitted through the relay with all headers intact in the way they were originally crafted by you before initiating the send. For example, if you sent an email to a recipient with 4 cc's and 4 bcc's, you will see all of these recipients under the proper heading (to/cc/bcc) in the email sent to the journaling address, so you can have a real, traceable audit of all emails that were sent. 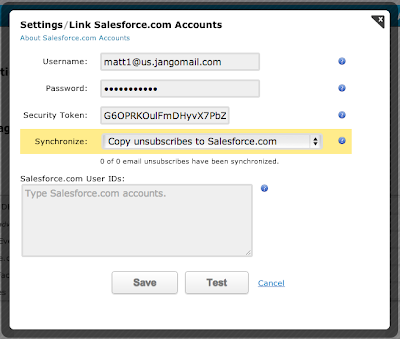 We gave you the ability to connect to your Salesforce account and sync your unsubscribed list to Salesforce, so you can be sure you have most relevant data on your users that have unsubscribed from your transactional emails. 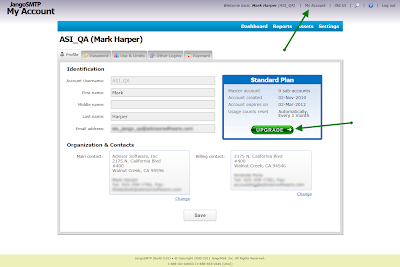 And add your Salesforce Credentials on the dialog that comes up. 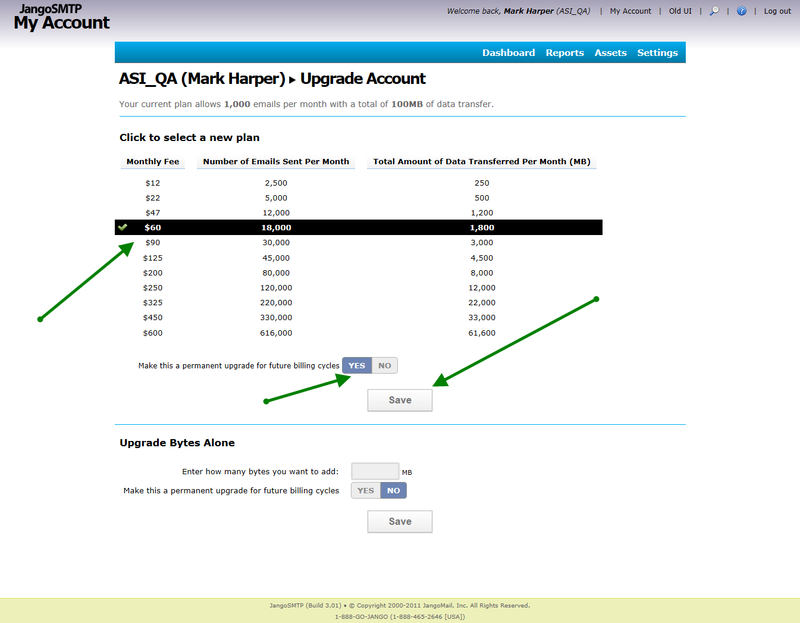 There's a little bit of setup you need to do on Salesforce first but after that you should be good to go. If you use Salesforce, this new feature can save you a bunch of manual labor in the short term and in the long run, as syncing occurs on a daily basis. Do you use Facebook? Who doesn't? JangoMail has many new features that involve Facebook, but we thought we'd open the gates of possibility and give you the option to connect with Facebook on JangoSMTP as well. First and foremost, you'll be able to sign into your JangoSMTP account with a single click of the "Sign-In with Facebook" button on the login page. No need to remember your JangoSMTP credentials, unless that's your thing. And click the button to connect with Facebook. Once connected, you'll be able to Login to JangoSMTP with Facebook from the login page. New users can also sign-up for a Free JangoSMTP account with Facebook as well. Future integrations we make with Facebook will be right at your fingertips. What other features would you like to see us develop with Facebook? It has been great catching up with you. But we have to get back to doing what we do best-- delivering emails. We look forward to the next run-in where we'll have more exciting news for you. Stay tuned, happy sending, and drop us an email anytime. We'd love to hear from you. In the exciting world of email, there's a little niche that few think about. Remote monitoring emails are something many never think about. For many of JangoSMTP's customers, these emails are vital to their businesses. JangoSMTP is used to send thousands of monitoring emails for security systems, networking devices, and much more. Many radio stations have broadcast towers in remote locations, while their offices are closer to town. FCC regulations require regular monitoring and logging of output power levels. In the old days of a decade ago an employee, or an expensive radio link would be used to monitor and log at the remote location. Modern equipment, though, allows the radio station to use JangoSMTP's inexpensive relays to replace expensive equipment and salary costs. Many security cameras offer email monitoring. Using JangoSMTP, your security system can send you a photo anytime it detects movement. You can then view the email, and see the photo from your PC or even your phone, anywhere in the world. But wait, you don't run a radio station. You don't have a security system. You do, though, have a beautiful smoker that you use to make delicious barbecue. Personally, I'm imagining that it's Eastern North Carolina pork barbecue, but you may be a brisket fan. 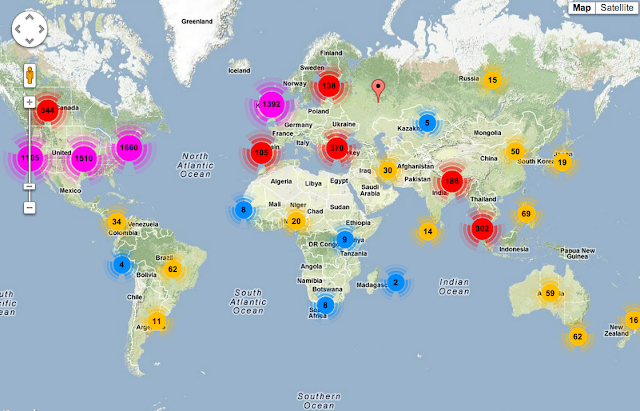 You can use JangoSMTP and the CyberQ II to monitor not one, but two barbecue pits at once. It can email you updates while it continues the low, slow, smoky heat that good barbecue requires. If you're looking for an SMTP server for your remote monitoring tool, try a Free JangoSMTP Trial Account. You can send up to 200 emails per month with the trial. Need more? Let us know. We're JangoSMTP. We don't make your barbecue, but we do help them make it taste better. Do you need to send transactional emails from a Ruby application? Do you need open tracking, DKIM signing and easy to read reports? If so, then JangoSMTP is your solution. This example demonstrates how to send messages using JangoSMTP from within a Ruby application. You will need the Mail gem, which can be installed with the command gem install mail. After the mail gem is installed, download the source code for this example and insert your own JangoSMTP username/password/etc. It's as easy as that! 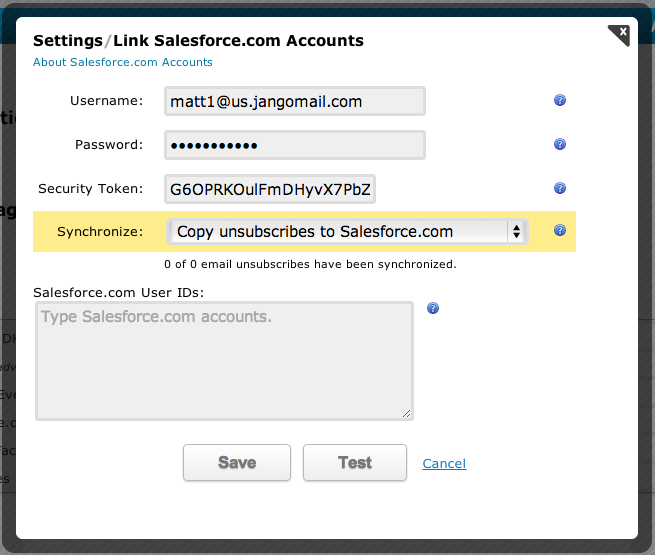 JangoSMTP has two new click tracking options for transactional emails. The new settings, base-64 encoding and MD-5 hashing, make the links operate more securely and look more professional. This URL is less secure because it shows the destination URL, which could be changed by a malicious phisher. JangoSMTP has added these two new settings to increase the URL's security. Base-64 encoding encodes the URL so that it doesn't reveal the destination URL. The MD-5 hash feature causes the redirect to the URL to fail if the hash does not match the URL. URLs with base-64 encoding look more professional and recipients are more confident when clicking them. URLs without this encoding clearly show one URL that has another URL as a parameter, which can make a recipient more hesitant to click. The MD-5 hash prevents tampering with the destination URL. If someone were to change the l= parameter in a URL that contains the hash, then the user would NOT be redirected to the destination URL. Please note that in the URL examples above, we used a branded tracking-domain, x.browniekitchen.com. We recommend that all users setup a branded tracking-domain based on their organization's domain. To read why, see this blog post: The importance of setting up a custom tracking domain. All new JangoSMTP accounts will have both of these settings on by default. 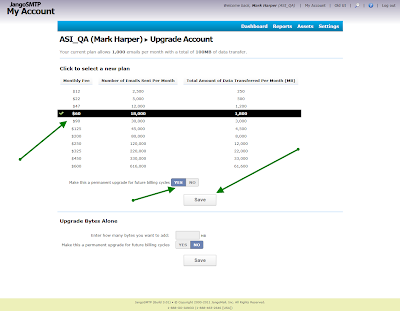 If you are a current client, we recommend that you turn on both of these settings now. Please note that JangoSMTP will enable these two settings for all existing accounts automatically over the next few weeks. Wordpress is one of the most popular blogging platforms on the web. If you're serious about blogging, it's important that your Wordpress-generated emails are tracked and delivered, and JangoSMTP can help with that. 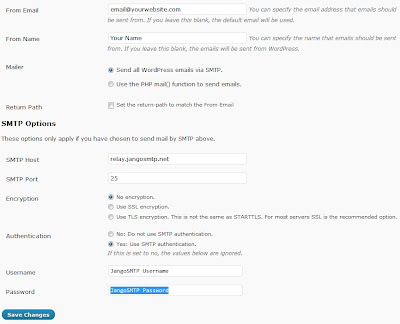 Setting up Wordpress to send via JangoSMTP is a snap! Start by downloading and installing the WP Mail SMTP plugin. To install it, just unzip it and upload it to your plugins folder, which can be found within the wp-content folder. Then all of your Wordpress emails will be sent through JangoSMTP. You can enable tracking and other features through the JangoSMTP settings.